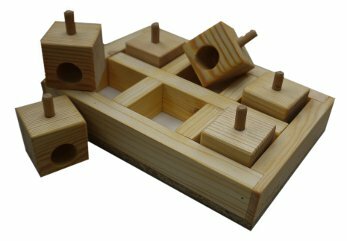 A puzzle based on lifting blocks out of the base, with sloping holes cut into the block a treat will fall out when lifted up. It helps with fine motor control and steadiness. Suitable for: Dogs that are inclined to pick things up.